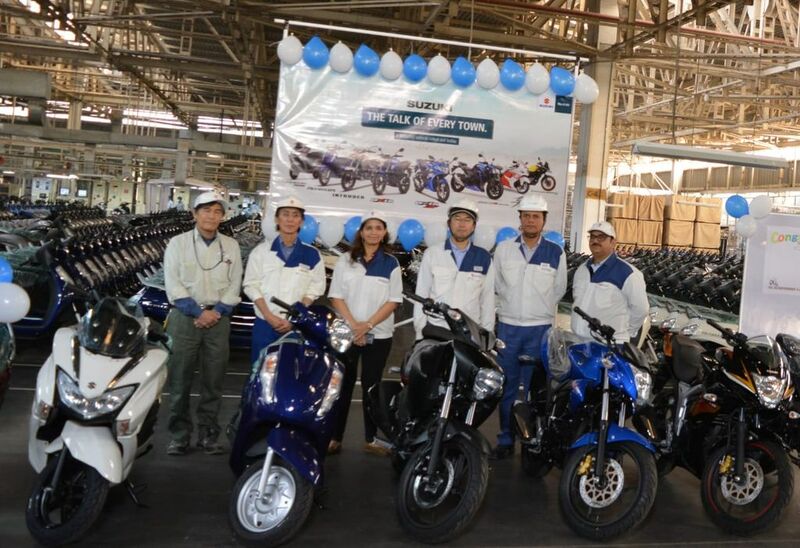 Suzuki Motorcycle India officially announced that the company today rolled out four millionth vehicle from its Gurugram plant and the Japanese manufacturer achieved this milestone in 12 years as the company started its operations in India in 2006. The company is registering good growth thanks to newer models like Burgman Street and Access 125. SMIPL plan to sell 7.5 lakh units by the end of current financial year as the production milestone paves the way for the company’s target of achieving one million sales volume and by 2020, they are the expecting the current market share to double. The manufacturer currently sells 16 products in the country from scooter to performance motorcycles. The majority of the volumes for Suzuki are coming from the scooter range and Gixxer series. Along with entry-level models, the company also sell premium performance bikes like Hayabusa, GSX-R1000R, GSX-S750, V-Strom 650XT and RM-Z series. Suzuki also exports product from India to more than 30 countries. Currently, the company has 521 dealerships across the country and they will expand the reach to smaller towns also. Suzuki has managed to sell 53,058 units in November 2017 compared to 43,722 units in the same month last year and registered 24.19 per cent year-on-year growth. The total volume of the company including exports is 56,531 units when compared to November 2017 Suzuki registered 13.86 per cent growth. The Access 125 is one of the consistent performers in the scooter industry with average sales of around 45,000 units and it is currently leading the 125 cc scooter segment in India. Suzuki also launched the Burgman Street 125 earlier this year and it is the first maxi-scooter in India as the initial response is excellent. 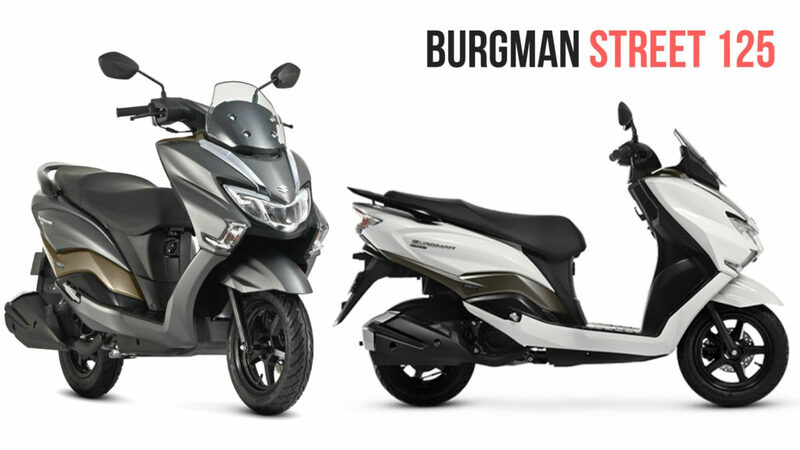 The Burgman Street has already beaten the Honda Graze to continues its good momentum and the company is expected to introduce a major update for the Gixxer series soon to improve sales.